The American Disabled For Attendant Programs Today, or ADAPT, held a protest today calling out the National Governors Association on a promise made to gain more flexible use of Medicaid funds. The money would go toward finding community-based alternatives to nursing homes and other institutionalized care for physically disabled people. 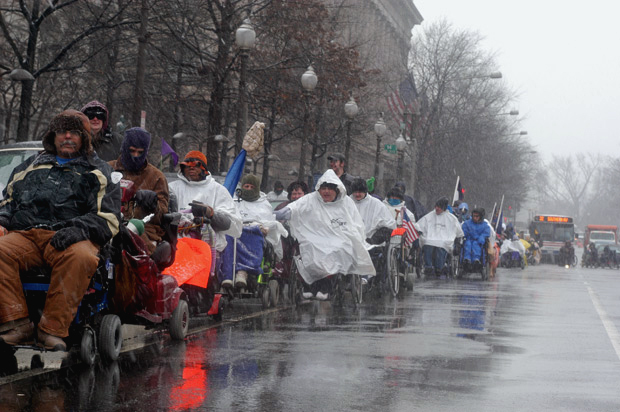 The rally started at the gates of the White House and continued up Pennsylvania Avenue to the Capitol Building.